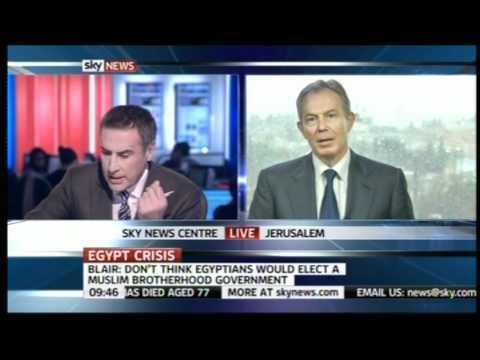 Dermot Murnaghan is currently one of Sky’s main news anchors, presenting Sky News with Dermot Murnaghan. He previously presented BBC Breakfast, Treasure Hunt, Eggheads, Celebrity Eggheads and Are You An Egghead? (BBC2), The State We’re In (BBC 3), Crimes That Shook Britain (CI) and has previously fronted Sky’s Sunday morning political programme, Murnaghan. Prior to this he fronted ITV’s Lunchtime, Nightly and Evening news bulletins for eleven years and was a key part of the presentation team covering the 2001 General Election. In 1997 Dermot broke the news to the nation about the sudden death of Diana, Princess of Wales. He has won the Royal Television Society’s Interviewer of The Year Award for his interview with Peter Mandelson which resulted in his resignation from the Cabinet and has received Newscaster of The Year Award from TRIC for his work at ITN. Before joining ITN’s Lunchtime News, Dermot regularly presented Channel 4 News and fronted five series of The Big Story (ITV). He was also a reporter for Business Programme (Channel 4), co-presenter for ITV’s Sports Awards and was the anchor of Channel 4 Daily. Dermot is married to journalist Maria Keegan. They have three daughters and a son: Kitty, Molly, Alice and Jack. He is an Arsenal fan and a keen cyclist. 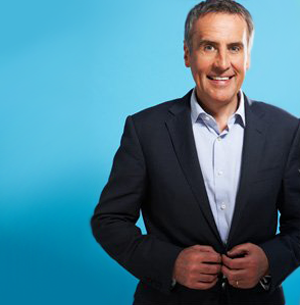 Dermot Murnaghan is available for a range of corporate work including awards hosting, speaking and conference facilitating. We’ve had some amazing feedback already. Dermot was a dream to work with. I hope that he enjoyed the evening. Please pass on my thanks to Dermot, it was an absolute pleasure. Dermot was a pleasure to work with, did an excellent job facilitating the day, managing the Q&A sessions during the afternoon, and was a real hit with our delegates. We are very appreciative and grateful that he was happy to step in and help us. Dermot was an asset to the conference and the general consensus from the client was that he was the best moderator they?ve had. He paid particular attention to the content and themes of the event and was subsequently able to deliver lively panel discussion as he put the Leadership Team on the spot. He completely understood the brief and made a conscious effort of siding with the audience and encouraging participating. The client feedback has been so good that they are already thinking of booking him for next year! I would love to work with Dermot again and would also recommend him. We just wanted to say thank you for chairing the EST?s 4 Entrepreneurs event yesterday. It was really lovely to meet you and you really made the day run smoothly and to time. The ?Pitch Your Own Idea Session? ran brilliantly with your chairing. Thank you again and we?re looking forward to working with you again. What can I say other than, ?Thank you! We couldn?t have done it without you!?. Of course I am referring to the assistance you gave us in hosting our event on Friday evening. It was a real pleasure working with you and your calm professionalism was greatly appreciated. Thank you very much for facilitating yet another excellent TalkBack session. The conference delegation and Central Committee appreciate your knowledge on policing issues and your skills in managing the questions during the session. It was a pleasure to work with you again. This was the first time we used Dermot and he was a real winner with the audience…he was very easy to work with, very professional and did a great job for us. The event went really well and Dermot was fantastic! Dermot was outstanding. [He] was the perfect host for the National Science + Engineering Competition?s ?Nobels Live? event. The event brought together two Nobel prize-winners, science demonstrators and an audience of 500 young people, and we needed an experienced host to run proceedings. Dermot is extremely personable and easy to work with ? he follows instructions while also providing helpful ideas and is a very enthusiastic host. I have had the pleasure of working with Dermot on a couple of events for young people and he has a great ability to keep them engaged in difficult subjects that they usually may not be interested in. My colleagues were very impressed with him and are already talking about using him for future events! Dermot Murnaghan recently hosted a philanthropy fundraising dinner for Action for Children and we were delighted with the evening. Dermot?s manner immediately put everyone at their ease, he was friendly and easy to brief, absorbing the key messages and objectives very quickly. He was a charming host, and his relaxed and sociable manner struck the perfect note and set the tone for a very successful and enjoyable evening. Dermot hosted the game show element of Call My Wine Bluff which is ActionAid UK?s annual gala event fundraiser. He was a fantastic host, keeping professional at all times and funny too. He and the other celebrities involved helped us to raise over ?230,000 to help women fight violence and poverty.